THE FREIE WÄHLER (FREE VOTERS) CRITICISE ENCROACHEMENTS ON FUNDAMENTAL RIGHTS AT THE EUROPEAN PATENT OFFICE IN MUNICH. 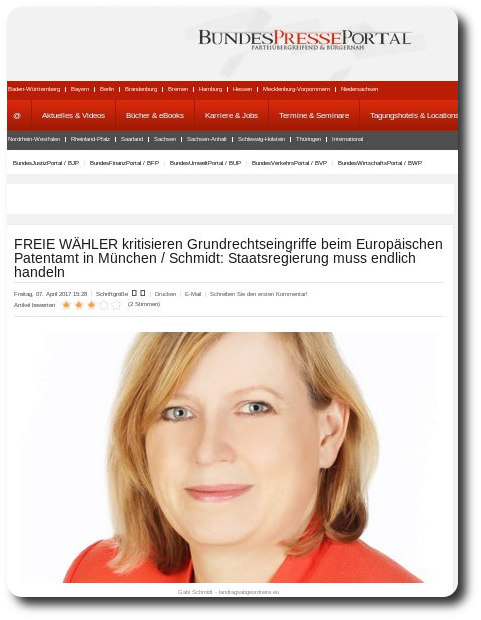 The Freie Wähler are, once more, severely criticising senior management of the European Patent Office in Munich. According to Gabi Schmidt, Member of the Bavarian Parliament, and on the European Committee of the Bavarian Parliament, many members of staff have been complaining for years about harassment and intimidation. “There is still no sufficient control over the despotism of the EPO President, Benoît Battistelli. Since the EPO is an extra-state institution, German employment law is not valid there. However, we can no longer accept that the basic rights of staff are being trampled underfoot – and that it is happening in the middle of the capital of Bavaria.” On Thursday, in a plenary session of the Bavarian Parliament, Schmidt will invite the Bavarian government to act, within the scope of its powers, against the harassment of staff. “We can no longer merely observe as 3700 employees are at the mercy of the despotism of the man at the top.” Schmidt criticises how the President had set up an investigation unit without legal basis, how employees are restricted when sick, and how office management had attacked the basic function of the staff union. 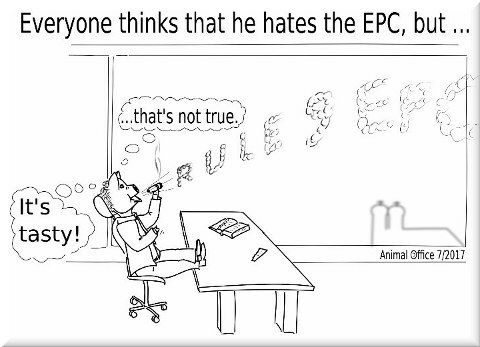 “EPO management should actually be controlled by the Administrative Council. Germany has, after all, a vote and the EU Commission anyway enjoys observer status,” criticises Schmidt. However, until now there have been no measurable improvements. “The Administrative Council declared last December that its instructions to the management about the social situation had not been followed at all – but still nothing has happened.” Today the Bavarian MP from Uehlfeld will request in the plenary session that the Bavarian government supports the staff at both national and European levels. CONTRARY to what Margot Fröhlinger claims on behalf of Battistelli, the UPC would not be desirable to Asian companies. Some of them already suffer from patent trolls in Europe as well as in Asia — a problem to be further exacerbated by UPC-like regimes. “We urge readers to keep abreast of what IAM is cheering for here: trolls and UPC. Both are funding sources of IAM.”This case, as we noted here before the weekend, demonstrates that patent trolls are penetrating London and succeeding there. A ‘unitary’ effect would be even more devastating. We urge readers to keep abreast of what IAM is cheering for here: trolls and UPC. Both are funding sources of IAM. “Bristows are some of the worst liars out there, so anyone pursuing a “piece” or “paper” from them is looking for nothing but propaganda.”Recently, IAM has been cheering for the trolls of Ericsson almost every day. They’re attacking. Their target (defendant) is Linux/Android. Two days ago, IAM promoted Ericsson’s patent troll (Unwired Planet) even twice in a single day, serving to reinforce IAM’s role as the trolls’ propaganda rag. They refer to the troll as “NPE Unwired Planet” and also say that “IAM commissioned a piece from UK law firm Bristows…” (so the EPO pays a PR firm, which in turn pays IAM, which then pays Bristows, which also happens to lobby for the trolls’ dream, the UPC). Bristows are some of the worst liars out there, so anyone pursuing a “piece” or “paper” from them is looking for nothing but propaganda. “We previously noted that Ericsson and Microsoft now use a similar strategy — the strategy of passing patents for trolls to attack rivals.”Well, such is the nature of IAM and its neighbourhood. They’re a propaganda mill disguised as 'news'. In their latest issue, as usual, they are whitewashing Microsoft’s patent racketeering and stating: “Based on different continents and very different in size, Microsoft and Fractus are united by a sophisticated understanding of IP value which is delivering tangible results. Others would be well advised to heed their example…” (advocacy of patent trolling, courtesy of the trolls-loving friends at IAM). TECHRIGHTS is anything but new to the UPC plans, which were known as all sorts of other things over the years (“harmonisation”, “EU Patent” etc.) and people can find articles on the subject going nearly a decade back. We are on pretty solid ground when it comes to the subject and we can easily spot lies, then report them in public. Not many other sites are both capable and willing to do this. We are neither obsessed, nor do we respond in vain. It has become very apparent that Techrights has become the #1 enemy of Team UPC (a conspiracy of few law firms looking to make a lot of money from the UPC and thus lobbying for it at huge private expense). This post is an assorted rebuttal to some of the latest lies, as well as observations made by various people who prefer to remain anonymous. “We are on pretty solid ground when it comes to the subject and we can easily spot lies, then report them in public.”We wrote about that the other day, after we had spotted something rather dodgy at Managing IP. We suppose that it’s possible someone said something on the phone, but it’s definitely not an official statement. Yet they paint is as official policy, just like they framed a 5% vote at 1:30 AM as something very official (more on that later, for this nonsense is still being repeated by Team UPC). Lies by omission have become a common strategy among Team UPC, which means we must always dig deeper and fact-check everything they say. Remember these highly misleading claims about Spain back in March. How can they get away with that? “Allusions” and “Omissions” is what someone we spoke to called it. This person too recognises that Team UPC is being rather disingenuous. “Great way of communicating with the world,” this person sarcastically dubbed it, but they are desperate, no doubt, albeit it’s no excuse for this strategy, which clearly involves misleading potential clients. –AnonymousWe have stressed this repeatedly in this site and elsewhere: nothing that Team UPC says should be taken seriously (without a barrel of salt). What we now have is an unprecedented mess, wherein lawyers can be assumed liars (at least about the UPC) and customers are habitually being misled. Many of them don’t even realise this. In the mean time, business are being lied about, not just to. The UPC is definitely not desirable to us who create things (e.g. software), yet patent lawyers tell the world, politicians included, that businesses want the UPC. They don’t. They don’t need patents in other countries if at all. Some have signed a petition to clarify this and a group representing SMEs condemned claims that UPC is desirable to SMEs. AstroTurfing like the EPO now? 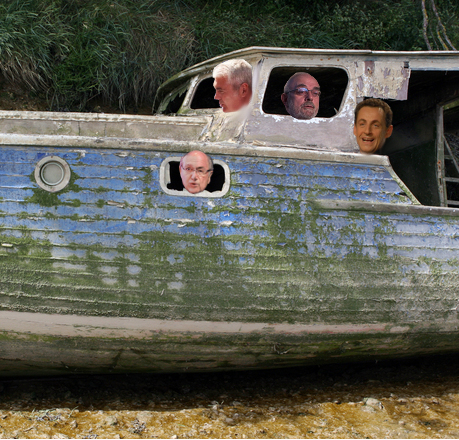 Only a fools would put any eggs in the UPC basket, as it's a sinking ship. 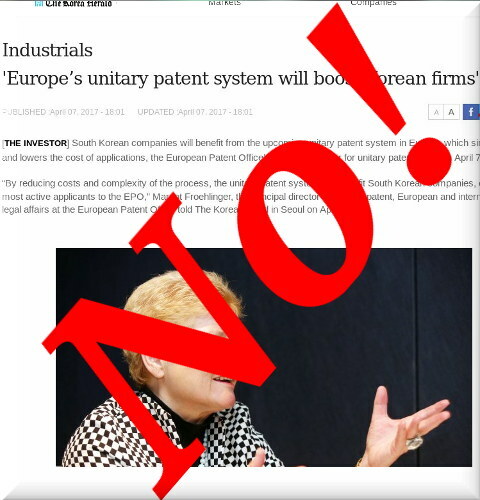 Last night we found this new article titled ‘Europe’s unitary patent system will boost Korean firms’ (a blatant lie right there in the headline). We can’t help but speculate; Did Battistelli’s hired PR firm pay for these lies to be printed, or did Team UPC pay for these lies to be spread in Korea? Who knows… all we know is, “Margot Froehlinger, the principal director for unitary patent, European and international legal affairs at the European Patent Office ECCK” managed to seed these lies in yet another continent’s press (maybe there is similar coverage in Hangul). She has become Battistelli’s most prominent mouthpiece on UPC matters, as we noted here before [1, 2, 3]. Irrespective of Margot Fröhlinger, we have spotted yet more self-serving nonsense printed as though it was factual. –Francisco MorenoBased on where it stands in the UK (which the above article is about), it’s not going anywhere, hence it is, as Francisco Moreno puts it, “waste of time” (and money, which firms like Marks & Clerk would pocket after they gave misleading/poor advice). Like IAM and its funding sources, which include the EPO’s PR firm that paid IAM for pro-UPC events? “Like IAM and its funding sources, which include the EPO’s PR firm that paid IAM for pro-UPC events?”Later today we are going to write about UK courts ruling in favour of a patent troll — a subject already covered here the other day. It would have been far worse if UPC was in effect. “The UK is not ratifying, hence (as expected) the Germans have no point ratifying either.”Christopher Weber and Alexander Esslinger are still fantasising, saying that “[t]he process of formal ratification of the Unified Patent Court (UPC) Agreement by the UK is unlikely to be completed until mid-July,” citing Team UPC. So once again they are pushing back the dates. Not too long ago they pushed back as far as 2018. They must have realised by now that even believing their own lies would be rather unreasonable. TBA 3.3.02 now seems to be completely dysfunctional, with only one technical member left. To be fair to the EPO management, the number of legal BoA members slightly increased in 2016, but this does little, if anything, to solve the problem since usually the technical members act as juges rapporteurs in opposition appeal cases and draft the decisions. See what Battistelli has done? One reader recently told us: “I’ve heard the words “lame duck” being used about Battistelli (should he not decide to prolong his reign). Considering what’s going on at the EPO right now and which plans are in store that’s a naive assumption. If there was no method to the EPO madness engulfing the office now it appears there’s some method, and this is to run it down at full power. Treating the staff like assembly line workers. In August there will be introduced ID access cards able to register the time of entry in and exit from the office in order to control the effective time spent at work. It’s only that each examiner has a yearly production to achieve so checking whether he’s done this in less or more of the 8 hour 45 min time seems to be useless. Could a patent attorney imagine his working day being [like this]? The issue of mega-directorates. Battistelli and his HR brains have thought that one could cut down on the directors by merging directorates and having 60 people under one director. Thus a saving of more than 1/3 or the directors could be achieved (leaving roughly 70 out of over 100). The work of a director will then be delegated to team leaders who will do a director’s job for merely some hundreds of EUR a month, non-pensionable. 3-year contracts for newcomers starting next year. Undoubtedly there will be candidates for any job in the world but will the EPO still recruit the best candidates when they know that their job doesn’t involve any certainty? Anybody leaving the office after a cycle of three years, be it three or a multiple of three, will certainly consider the lack of a wide range of jobs, like in any other position on the market. It’s going to [be tough as] patent attorney and starting from the bottom, or nothing.